A sports car prototype, the Alpine A210 was a sleek little racer with a superbly aerodynamic body with a dominant long tail with two side fins. Introduced in 1966, the A210 was manufactured until 1969. 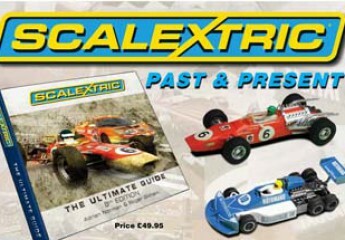 The Scalextric version, reference C1 (and also C13), was made in the Calais factory in France and made available in blue or white. Some models have ‘C1’ and ‘C13’ embossed on the underside, whilst others just ‘C1’.